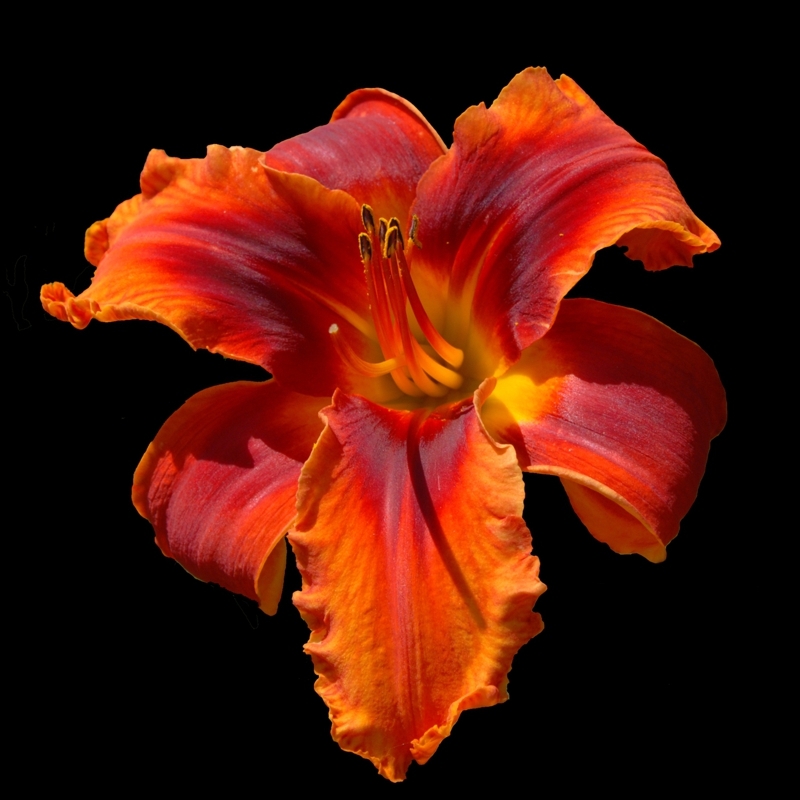 Semi-Evergreen Tetraploid, 7" X 33"
Samsational is my son Sam’s favorite daylily. It is one of several from the same seed pod that are brilliant reds, but this one has the extra brilliance and dark eye that makes it stand out so much. My son, Sam, is amazing in so many ways, that Sensational applies to him also. Samsational is being introduced in 2019 only 6 years since I collected its seed, and 4 years after its first bloom. 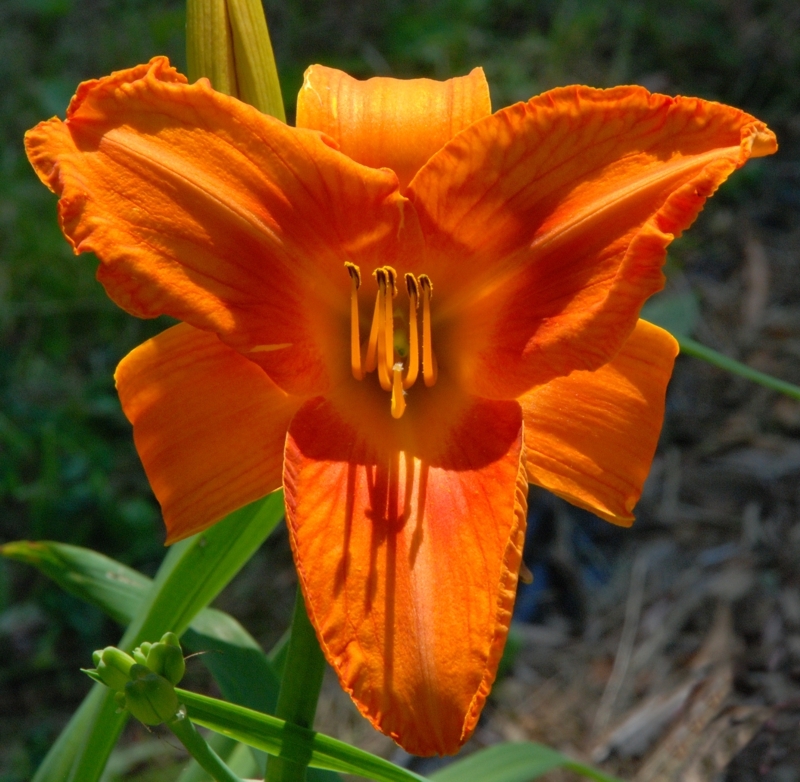 I am also introducing one of its parents, Lighthouse Blaze, this year, but Lighthouse Blaze was planted 9 years ago. Samsational is one of our first being multiplied by cutting the plant into half, growing it a while and cutting it again. It works without damaging the plant’s genetics, but it also will give you a somewhat smaller plant than normal. Like a healthy seedling, it will bloom next summer and probably not this summer. Samsational occasionally re-blooms, so you may get two or three stalks in a summer. 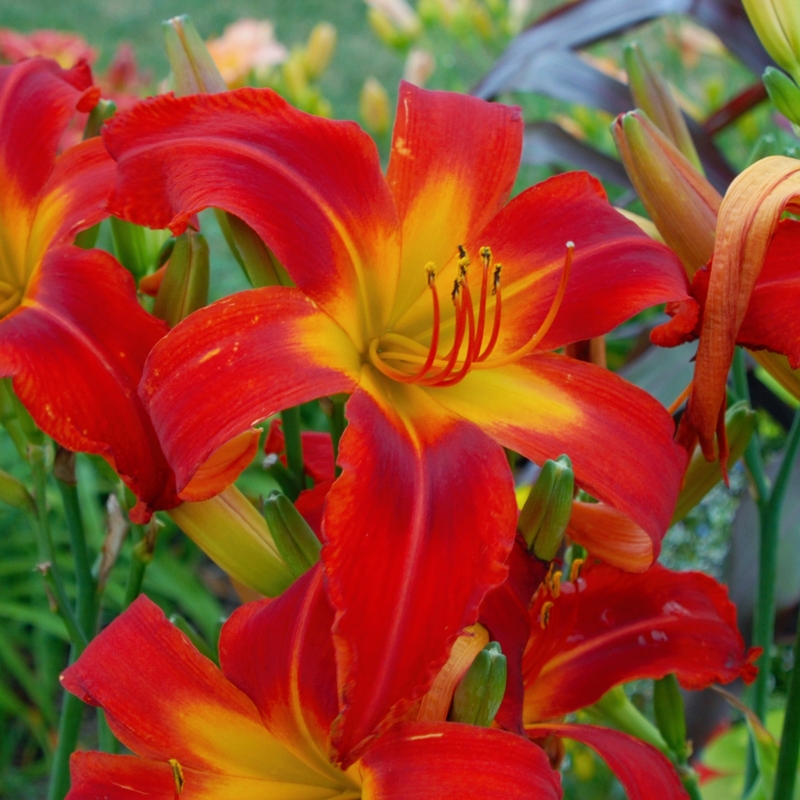 The flowers vary somewhat in color each day, but the majority are brilliant red with yellow-orange edges and a dark near black center. In the right light, it makes amazing photographs. The following photo is not retouched – the flower was blooming in my garden beside my neighbour’s driveway, and they had a black pickup truck beside the flower. The blue tinge is a reflection of the light – it is not blue. But in the right light it does show blue reflections. 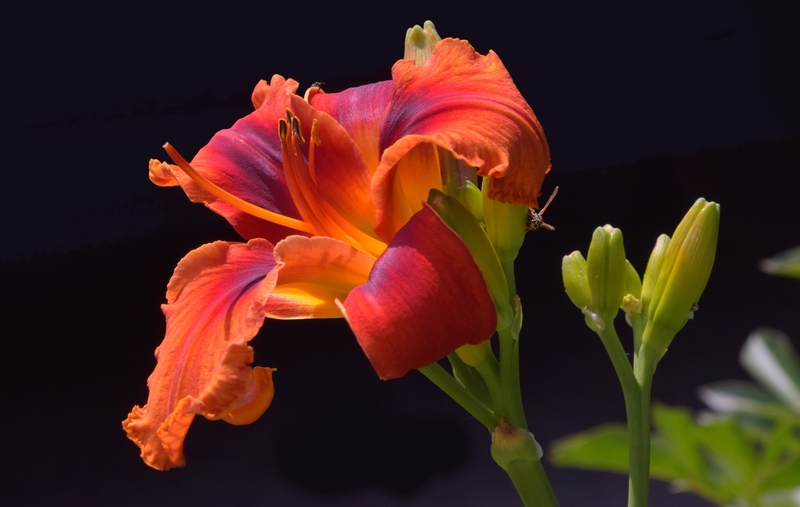 It has 7 inch flowers on a 30 - 35 inch stalks, and 18 - 25 buds that bloom from mid July to early August. Semi-Evergreen, very hardy in our northern climate and fertile both ways. It’s kids also show the intense brilliant red colors.